Elon Musk is following through on his promise to solve an energy crisis in Australia. 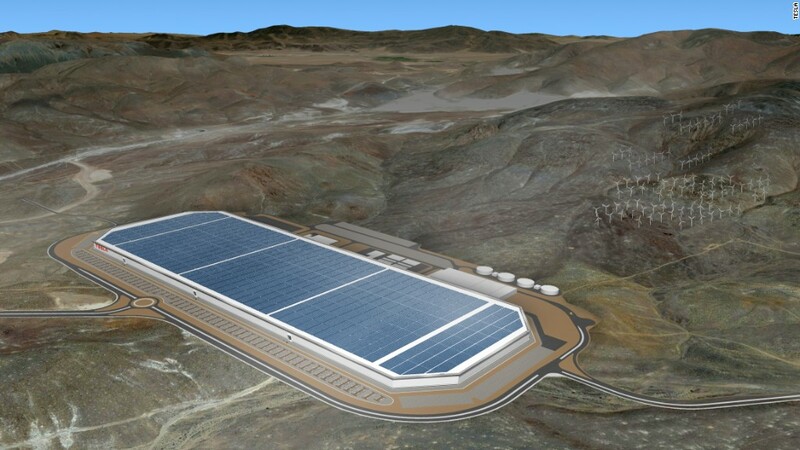 His electric car company, Tesla (TSLA), has teamed up with a French renewable energy firm and an Australian state government to install the world's largest lithium ion battery. Paired up with a wind farm in the state of South Australia, the battery will be three times more powerful than the next biggest in the world, Musk said at a news conference in the city of Adelaide on Friday. "If South Australia's willing to take a big risk, then so are we," he said. The announcement comes after billionaire entrepreneur Mike Cannon-Brookes threw down the gauntlet to Musk in March, asking if Tesla was serious when it claimed it could quickly end blackouts in South Australia. "Tesla will get the system installed and working 100 days from contract signature or it is free. That serious enough for you?" Musk wrote on Twitter at the time. South Australia's population of 1.7 million people suffer regular power cuts and energy shortages. In September, much of the state was left without power after a storm damaged crucial transmission lines. Another major blackout happened in February after an unexpected spike in demand due to a heat wave. Jay Weatherill, the premier of South Australia, said the large-scale battery system Musk is promising will "provide stabilization services to the grid." Funding to build the battery will come from the South Australian government's plan -- worth 550 million Australian dollars ($417 million) -- to deliver affordable and clean power. It will be linked up to French renewable energy company Neoen's Hornsdale Wind Farm near Jamestown, South Australia. But if Musk and Tesla run into delays, it won't cost the state's taxpayers anything. "We need to get it done, we need to make sure it's working properly, and we want to do it well under 100 days," Musk said.